Our centers’ staff is dedicated to meeting and exceeding the needs of every individual in our care. Our mission is to provide a bridge between an inpatient hospital care for our short-term residents and to achieve and maintain the highest possible level of functioning while enhancing the quality of life for each of our long-term residents. Today, many seniors are choosing to live at home with the assistance of caregivers to help them lead more enjoyable, healthier lives. 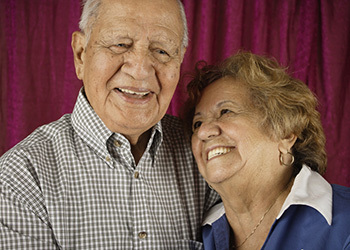 Home Care Services of Massachusetts is proud to provide exceptional, private duty home care to these seniors, offering the support they need to enjoy more independence at home. For more information please visit the Home Services of Massachusetts website by clicking here. Through our affiliate, Rehabilitation Services of Massachusetts, our center affiliates offer a robust rehabilitation program with highly trained rehabilitation staff who offer individualized treatment plans to successfully return residents to their prior status and residence or to achieve and maintain their highest level of functioning. We are committed to providing outstanding results and excellent quality of care. Our resident families are also encouraged to participate in therapy sessions, caregiver education, and training. The Sheehan Health Group team is comprised of seasoned professionals who have extensive experience in the delivery of healthcare services in the senior extended care industry over the past several decades. We offer a vast range of expertise and guidance to ensure the provision of the very best in health care services and operations within our affiliate network of rehabilitation and skilled care centers, home care agency, and consulting agency.